I've fitted several sets of Tubliss, and I run them on my 690 and enduro bike. Running on the rear of a 690, you need a minimum tyre wall thickness of 7mm. The C02 has a very thin wall yet it is over 7mm and seals ok. Definitely torque the locknut up to 15Nm though. Tubliss on a 690 rear rim. Inflated, but without tyre. My only Tubliss "puncture". A snakebite to the front tyre during the Beacons Rally. Finished the lap on a flat; plugged and reinflate in minutes. Repairs have held up fine, with no air loss. (On my exc btw). Ok one ripped c02 rear and on c02 still atached to the rim and got me back to the van . 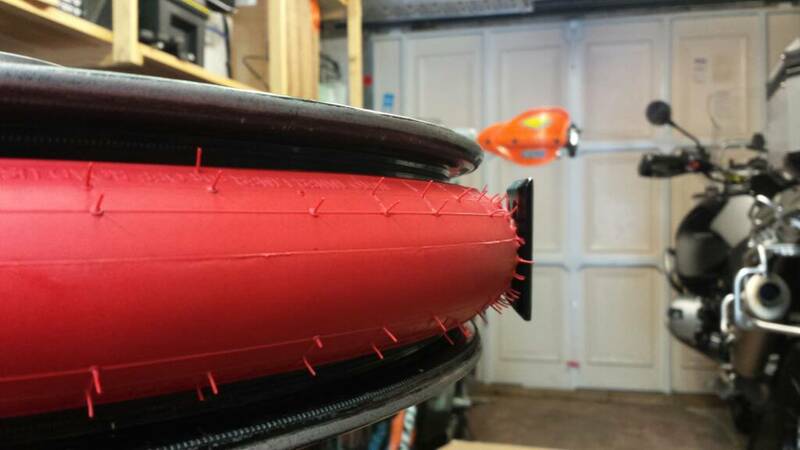 As has been said the tubliss can struggle to squize against the tyre to keep it in place. 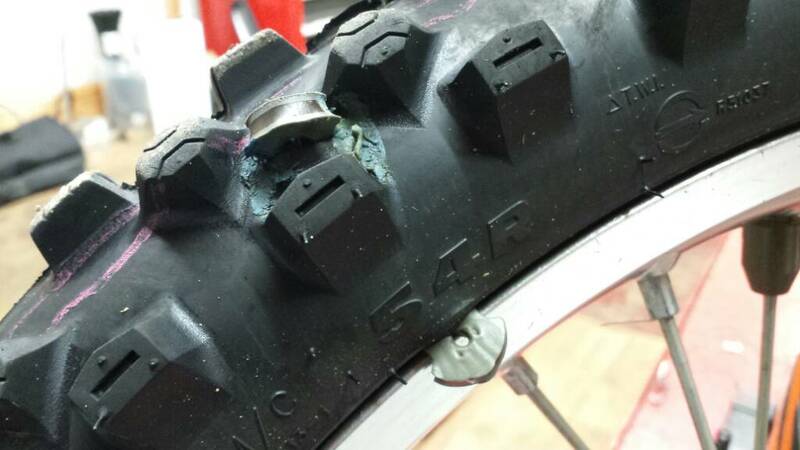 Here is a video of someone who says somewhere in the video if I remember correctly that he uses a cheap hard china rear tyre which had a bigger sidewall bead so the tubliss clamps it tight. Also has good opinion on where the 690/701 stands in the endure / trail riding world. Going back to my good old mitas e09 dakar run size 130/80/18 run at 15psi it has a thick as fcuk side wall.